Wouldn’t your job be a lot easier if your customers and prospects saw you as a trusted advisor, rather than a salesperson? Well if the answer is ‘yes’ then ‘Trust-Based Selling by Charles H. Green’s is a must read. The reality is that the words ‘sales’ and ‘trust’ are rarely used in the same sentence. As Green points out while sellers may want to do right by their customer, meeting target inevitably comes first. The typical buyer suspects that the salesperson will do, or say whatever is required to get the sale. The Cost of No Trust. The absence of trust makes both buying and selling more difficult. Green, for example, points to that up to 50% of some US Government programmes are consumed by purchasing overheads made necessary by a lack of trust. This is in some way at least accounted for by inefficient buying processes, such as RFPs, designed to reduce personal interaction between buyer and seller. The Importance of Trust in the Buying Decision. 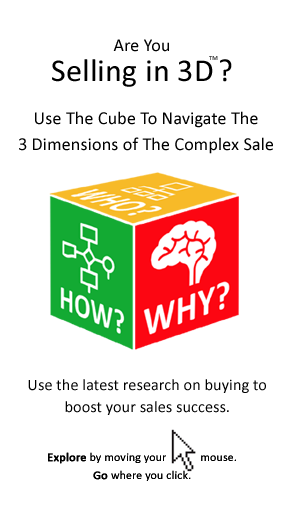 A complex sale won’t close unless the buyer feels he, or she can trust the salesperson involved. That is not to suggest that buyers are emotional, rather than logical. Certainly companies screen potential suppliers according to such criterion as; product functionality, industry specific experience, technology employed, and so on. However, when it comes to the final selection – the logical frontrunner will flounder unless he, or she has the trust of the buyer. That means, on paper one supplier may clearly have the best product, technology, or price. It may also have the best experts, the most impressive client list, or the longest pedigree. However, all of these supplier plusses are set to naught if the buyer cannot trust that company’s salesperson, or team. Time to Change The Buying Model. The problem is that all our sales training is aimed at demonstrating competitive advantage and building a logical reason to buy. This is driven by traditional models that view the buying process as a sequence of steps that can be represented by straight lines and square boxes. These outdated models suggest that the seller’s job is to cover all those who influence the buying decision, address all the criteria, prove the value, deliver the presentations, prepare the proposal, and so on. There is little consideration of emotional factors in the buying decision, in particular trust. Stating the obvious about Trust. Here are some obvious, but important points about trust. – Trust is not an instant impression that you can create, it is built up over time. – Mistrust, however can be an instinct formed immediately. – Trust is dictated by attitude, principle and intent, rather than technique, or tool. – It is hard to fake trust worthiness. – Trust is earned by demonstration, not by declaration. – By asking for it you forgo it. Trust is unspoken. – Trust is individual and personal. Trusting a company is a different matter all together. So, trust is important, but what exactly does it mean? Just what does the buyer need to trust the seller to do? First the buyer has to trust that the seller will solve the problem, or deliver what is needed. But perhaps more fundamentally – he, or she must trust the seller to look out for the buyer’s interests. After all, projects may experience problems and unforeseen circumstances can arise, but knowing that the seller will steadfastly remain at the buyer’s side, regardless of what happens, is Green suggests what matters most. Trust based selling requires solid levels of competence, credibility and reliability. But most fundamentally it requires a demonstration that the seller cares. So, just because the buyer knows you can do the job, does not mean that her, or she will trust you. This is particularly important where the seller knows more than the buyer and where he, or she is an expert rather than just a salesperson. Surely, an expert is more trustworthy than a salesperson? Well, that misses the point in a way. In this respect the expert who is confident, perhaps over confident, that he or she has the right answer is at a disadvantage when it comes to building trust. How Can A Seller Inspire Trust? 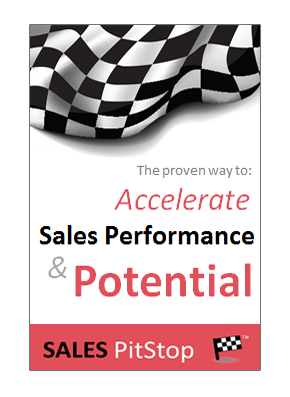 ‘I am not a lead’ an exasperated buyer fed up of dealing with salespeople exclaimed recently. ‘I have all these salespeople calling me wanting to prequalify and sell to me. None are interested in me, or my business. I am just another number, another lead.’ Does that sound typical? Well applying Green’s criteria this is clearly a low trust approach to selling. Green suggests that trust rests on the buyer’s sense that the seller actually cares – something that is indicated by things like; paying attention, showing interest and exhibiting curiosity about the prospect and what is important to him/her. When you show that you genuinely care, people tend to trust you. That means they are much more likely to buy from you when they need what you are selling. The word genuine is important, because trust is difficult to fake. A similar situation applies with respect to negotiation. The search for the upper hand through crafty negotiation skills, techniques and positions, must give way to transparency, truth and a genuine search for win-win. · I have a track record putting the customer’s interests first even when difficult to do. · I am willing to recommend a competition to a prospect, if that is in the prospect’s best interest. · I am prepared to walk away unless a win-win is possible. · I spend time with clients that might not be justified by a transaction based qualification. only loosely linked to what you are selling. · I look to the medium and long term, being prepared to invest in prospects that will not generate revenue this quarter, or next. · Even if the customer does not buy from me this time I stay in contact. · I am fully transparent and honest in my dealings with customers and prospects. · I genuinely care about customers and about making sure they succeed. · I really listen to customers and their needs, thereby earning the right to give advice. · I sell by doing, not by telling – letting the customer experience what I have to offer during the buying process. · I spend very little time telling how great my company is, instead ask good questions and engage with the prospect in a real dialogue. · I am highly collaborative in my approach to working with clients and prospects, including . work at the customer’s site, sharing work as it progresses, involving the customer in the process, etc. · I let customers see who I really am, rather than trying to pretend to be somebody else.